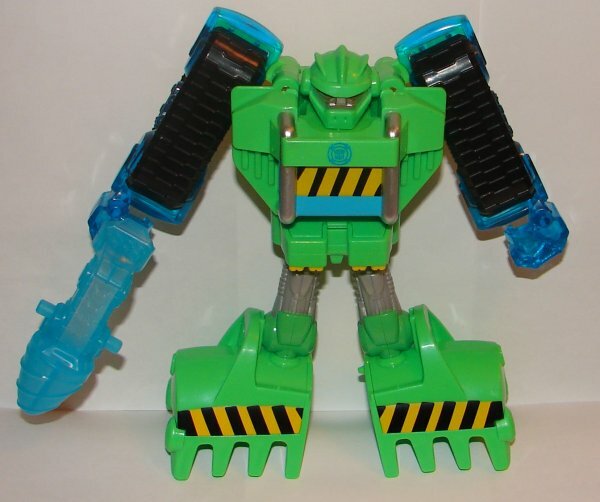 The second wave of Transformers Rescue Bots Energize toys are out. Like the Wave 5 (which included Optimus Prime, Bumblebee, Chase, and Heatwave) Wave 6 consists of Energize versions of Blades and Boulder. 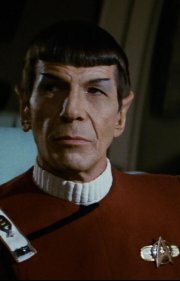 I never reviewed the original versions, so I’ll talk about both. 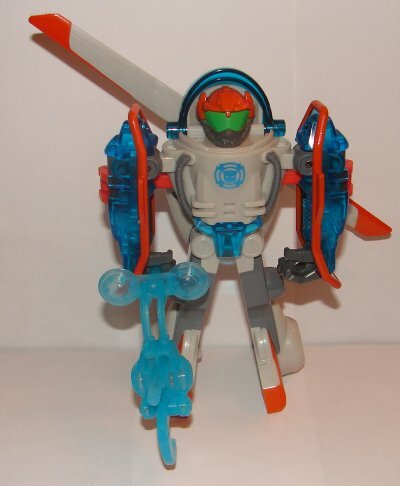 Blades is my favorite Rescue Bots toy. 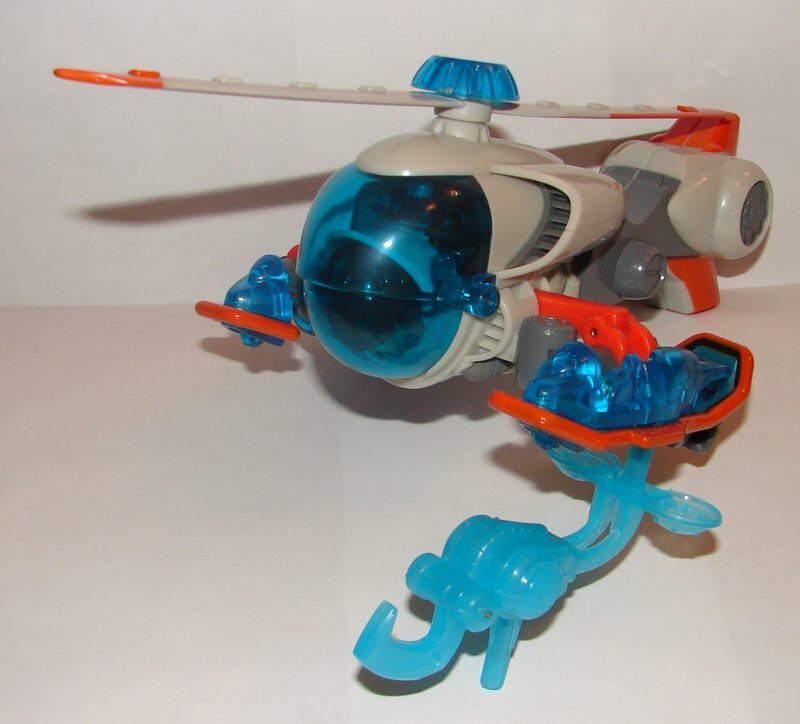 He has a really great helicopter mode. I like his robot mode too, but not as much as his vehicle mode. 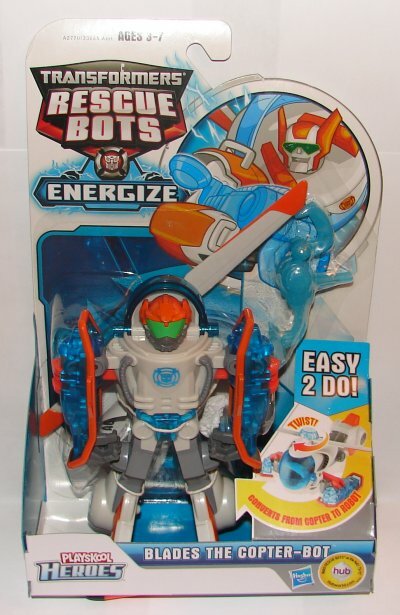 The Energize version has additional translucent blue parts that the original didn’t. He also has a weapon of sorts. 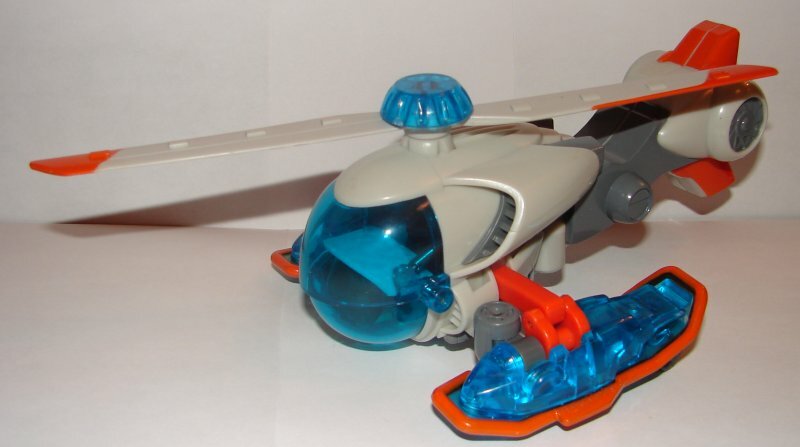 In vehicle mode it is a hook, but it does not attach in any useful way. It sticks out in front of the vehicle rather than hanging down. The helicopter also can’t rest properly on a surface with the hook attached. In robot mode, I’m not really not sure what he is supposed to do with it. Boulder is not a bad toy, but his vehicle mode just looks really odd with the enormous scoop on the front and a small cab. I do really like his robot mode though. 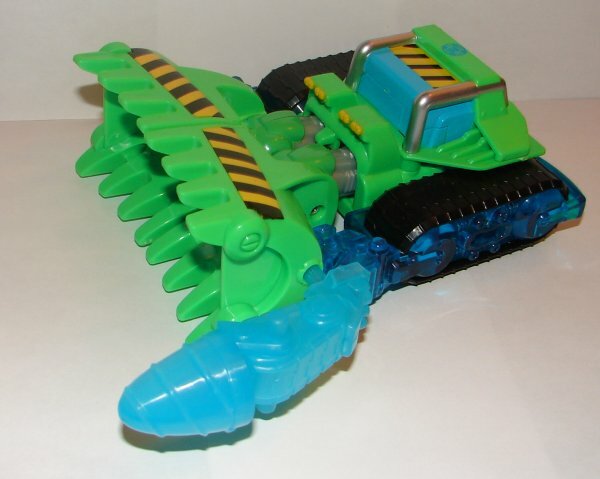 His hands and the inside of his treads have been made translucent for this version, and I think it looks pretty good. His drill accessory isn’t bad, but I wish they had made it mountable up on top of his scoop. 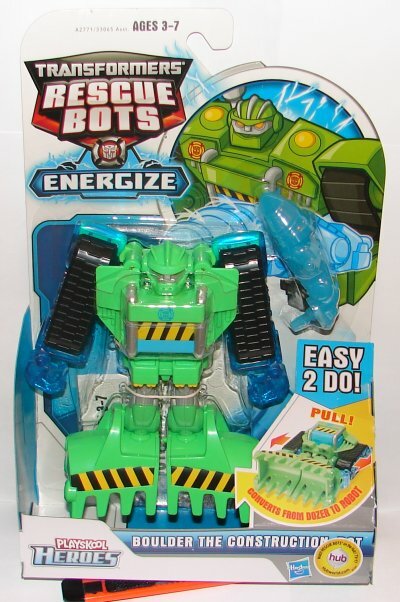 This entry was posted in Toy Reviews, Toys, Transformers and tagged Blades, Boulder, Energize, Energize Blades, Energize Boulder, Rescue Bots, Rescue Bots Wave 6, Toys, Transformers, Transformers Rescue Bots. Bookmark the permalink.